The Mobile World Congress is churning along with lots of presentations and new devices (like Samsung's new Galaxy S7, LG's new G5, Huawei's MateBook, and much more) but instead of spewing just some more numbers that show how these devices are better than the ones they aim to replace, I'll instead focus on this amazing image taken during Samsung's presentation. We can seem Mark Zuckerberg strolling around, just next to hundreds of tech fans that are oblivious to the world around them, as they try out the virtual reality worlds using Samsung's Gear VR. 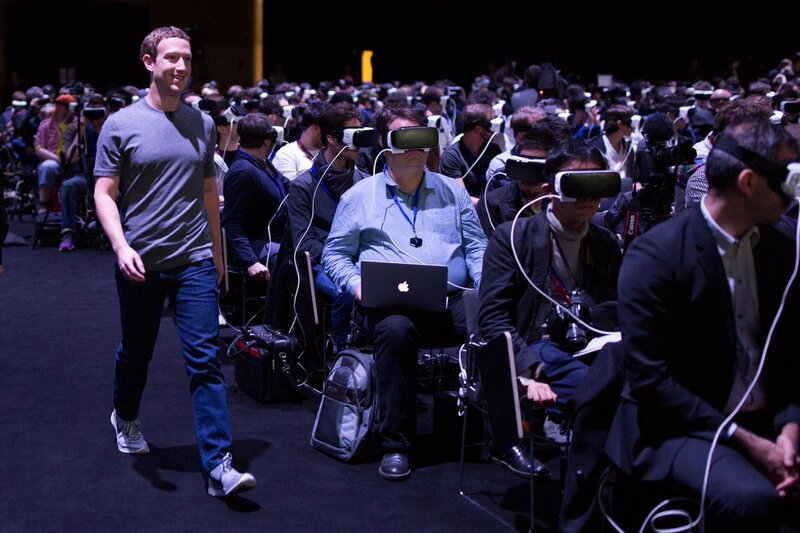 Sure, this is a very special case, during a product launch, but that didn't stop many from imagining this scenario as a glimpse of a possible future, where most of the world might want to spend their time tucked away inside a virtual world where they can have total control over every single pixel; instead of facing the reality, right next to them. I'm not that pessimistic, and prefer to look at VR as just another tool that - like any other tool - can both be used as a way to advance and enhance our lives, or abused in forms that will do more harm than good. It's up to us to figure out how far we can go before we step into the the "abuse/addiction" part. Other than that, as this is mainly a tech blog, just want to say that Samsung had some guts bringing us a new smartphone that: has less megapixels than last year's model; is thicker; and weighs more. It would sound crazy, until we realize that: we have less pixels in the camera but they'll be better; and the added thickness and weight not only allows them to nearly hide the camera bump on the back, but to increase the batter capacity as well, which is a trade-off most would be willing to do.